Ecology is the study of organisms and their relationship to their environment. 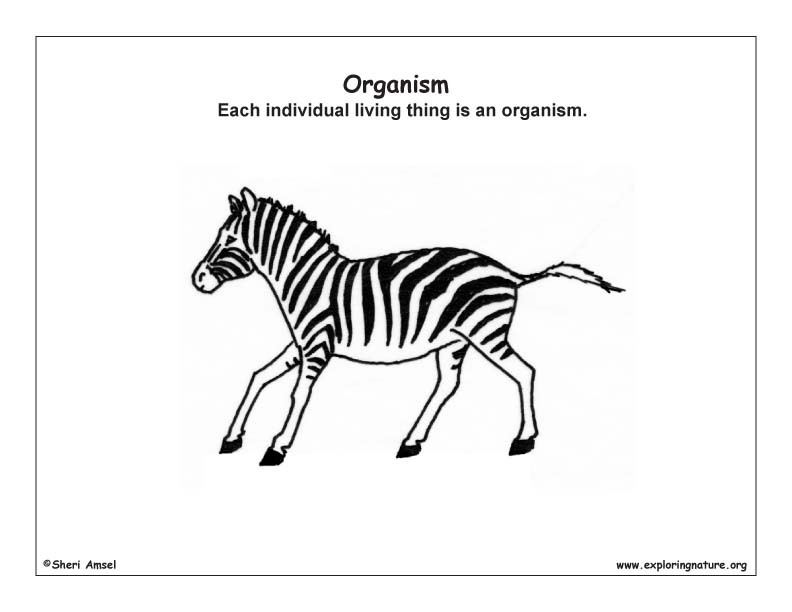 Each living thing is called an organism. 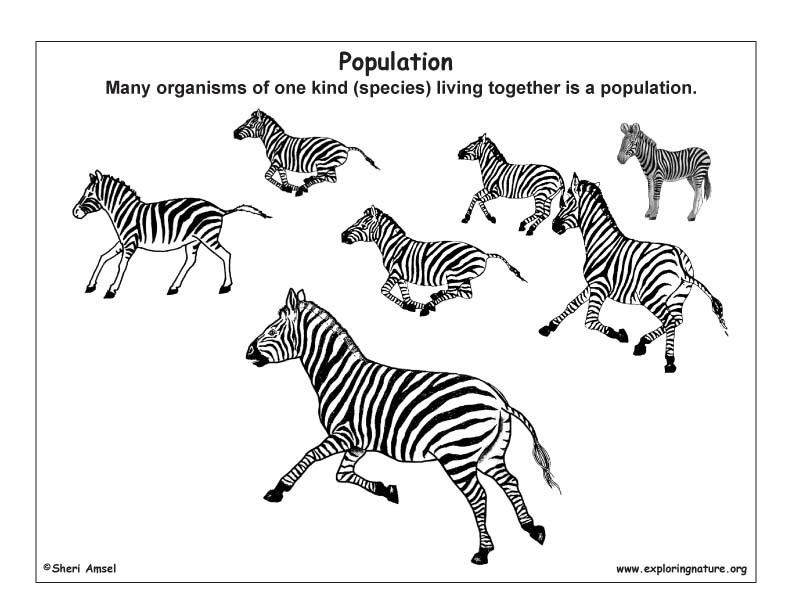 Many organisms of one kind (species) living together is a population. 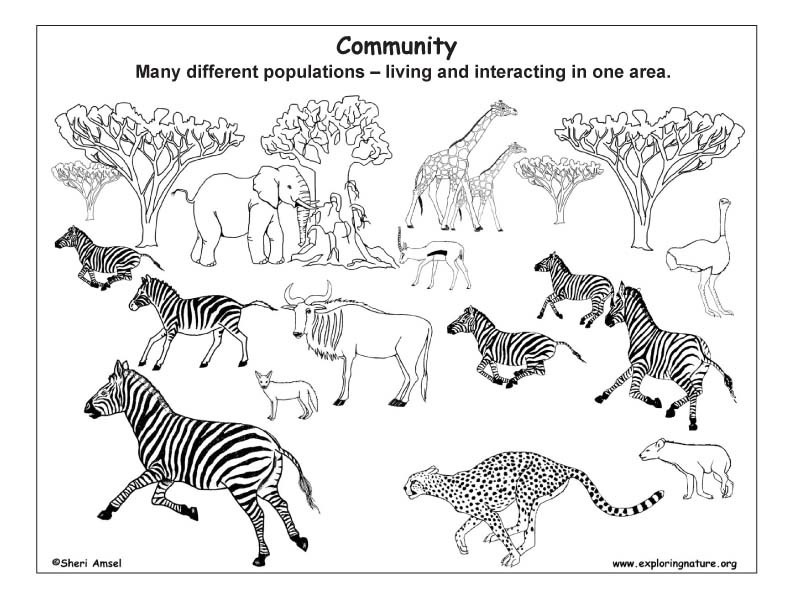 Many different populations living in one area and interacting is a community. 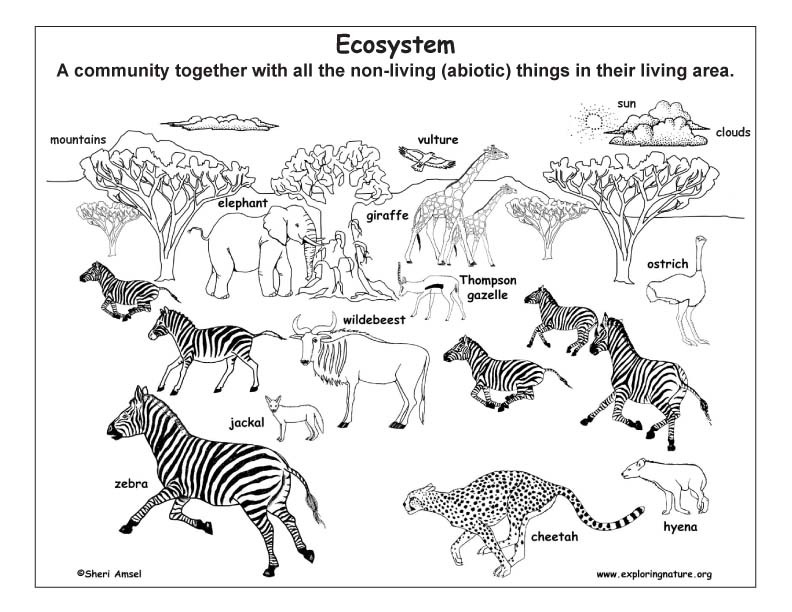 A community together with all the non-living (abiotic) things around it is an ecosystem. 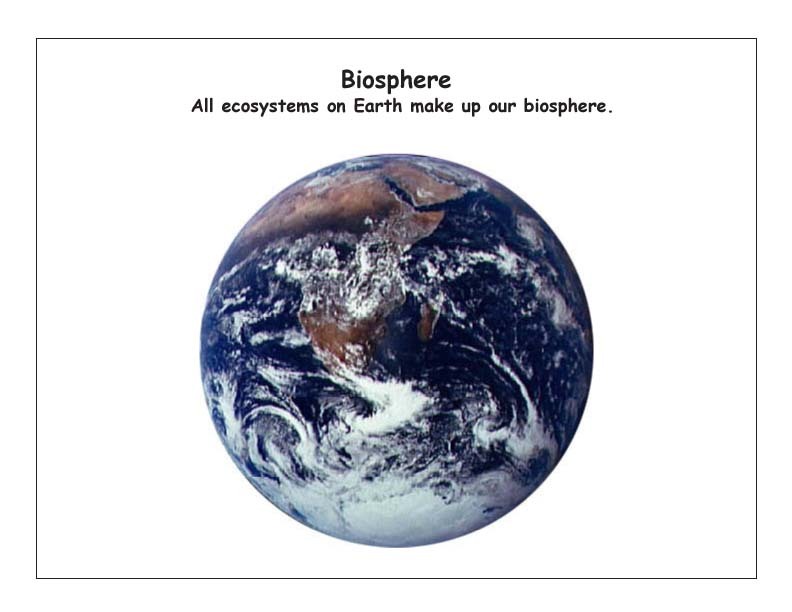 All the ecosystems on Earth make up the biosphere.